Turkey has been one of the most leading national exhibitors in Gulfood which was held for the 20th time this year in Dubai, February 8-12, 2015. 1- How was GULFOOD 2015? Were you satisfied with the performance of the fair? 2- What did you offer at the fair? Did you have any novelties this year? Did your stand arouse interest from the visitors? 3- How would you rate international food fairs? Which ones are the most important ones? 4- Which fairs are you planning to exhibit in 2015? 5- How do you foresee the Turkish food industry in the future? – YES we were satisfied with the performance of Gulfood 2015. The only negative point was that there were not enough visitors from African countries. – YES, we have announced our new line Plain Wafer and introduced new flavor Milky Wafer to our customers, visitors. As our location was in Hall 7 this year, we were quite busy with the visitors. – About food, confectionery I believe the best fair is still Gulfood. Then we may say ANUGA, SIAL Paris, FHC China. – We are planning to participate in Thaifex and SIAL China fairs. We are in development in world markets if Turkish manufacturers keep improving their quality as well as their marketing strategy. I believe that we will be the leading country about food items in next 10 years. – Yes, we were satisfied with the performance of the fair. – We displayed not different. We exhibited our competitive range of products as before. – To me, ISM comes first then Gulfood. – We have not planned the year completely about which fairs we will participate in. – I believe that the Turkish food industry will do better in the future. – We were satisfied with the quality and number of visitors at Gulfood 2015. We met with our current buyers and also introduced our product range to many new customers. – This was the 4th time for us to participate in Gulfood exhibition. Comparing to the previous fairs it was quite good but of course not like before because of the rising rate of the dollar in the Middle East. But even in this case we did our best and signed many agreements with new buyers. – If a fair is specialty exhibition in our production group, it is important for us. In fact, international fairs are always locomotive pathfinders. In our industry the most important fair for us is Gulfood. The others are Anuga Germany, Sial Paris, etc. – As I said before we will attend Anuga Germany, Worldfood Turkey and also many local fairs around the world. – According to our producers’ opinions, the Turkish food industry is rising in the world. But these opinions bring certainty by our buyers’ words. So, it will be very good in the future. And according to my opinion the Turkish food industry will be in the 3 best industries all over the world. 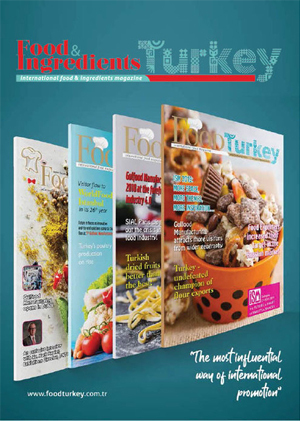 At the end of my words, I would like to express many thanks to FOOD TURKEY MAGAZINE which gives us the opportunity to share our opinions with the readers. – GULFOOD exhibition was perfect for our company like every year and Gulfood potential customers percentage was more than previous year. – Our company (User Food & Products Co) produces instant powder drink in different types of packaging, instant coffee, desserts (cream caramel, jelly, pudding, etc.) and bouillon which we offered in Gulfood and yes we get chance to meet and discuss with many good contacts in Africa, Gulf and Central Asian regions. – Gulfood is best fair for our company and Sial Paris-France, Anuga Cologne –Germany, ISM cologne-Germany are also right exhibitions for our products. – We are scheduled to be at Anuga cologne –Germany, Ingetrex-Tanzania, Americas Food & Beverage-Miami-USA, Sial-China and Sweet & Snacks-Dubai. – The Turkish food industry is making a name for itself not only in Europe where it is a leader, but also in the entire world and we believe this case will continue in next years. – Gulfood has been the biggest Food Expo in last 5 years and we are always in it. This year was also good but it become very big and you never find time to enjoy with your customers, just you give the business card and get theirs. There was no enough space for Turkish exhibitors and the stands were very small for the show. Even all of these disadvantages we were satisfied with Gulfood. – We offered our customers hazelnut cocoa spread with 10 different version of flavours. The new item was carob spread and it was very interesting for visitors. – When rating the international fairs at the sector I would, of course, say that GULFOOD is always number one. – We will be at Anuga, ISM, Sıal, Gulfood, etc. in the future. – When it comes to evaluate the future of the Turkish food sector, at the moment, I don’t think that Turkish Food or any other industries will be successful because of the currency rates. The government has to support Turkish manufacturers to compete with European suppliers. We don’t know and we do not have any forecast about future. We will live and see what will happen. The fair was quite busy for us. Out of more than 100 face-to-face meetings, we managed to make various contacts from target markets and overall. So, we can clearly say that we were satisfied by being a part of the Gulfood 2015. We believe it’s the most important event to be in the Gulf Region. We have offered a fine mixture of Turkish dairy culture from all over Turkey. Our main strength and difference lies on the fact that we are able to offer the most popular items of the region like Turkish Labneh, White Cheese and Halloumi together with the unique selection of regional Turkish flavors. The main novelty presented was our new logo and colors which were highly appreciated by the attendees. From the sales point of view, it all depends on where, which markets you target to be. As Yörsan, our key focus is Gulf and CIS, so for us Gulfood is definitely top priority. We also plan to attend World Food Moscow regularly for Russian and CIS markets. We are planning to be in Gulfood and World Food Moscow this year. In accordance with the growth target of the economy, we foresee a stable growth in the Turkish food industry. – Gulfood was, as usual, very beautiful and attractive. Serious buyers coming from all over the world were at Gulfood exhibition. For this reason, I can say that it has been positive for both meeting existing customers and become acquainted with new agreements. – This year we were able to display our products to our customers traditionally a variety of mortadella, sausages, beef strips and sausages. We presented a new product namely canned sausage; canned chicken luncheon meat of 340 gr & 200 gr. Interest for this product was very high. Our customers had positive perspectives for the new products. 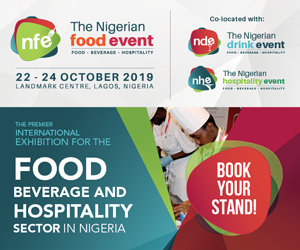 – International food fairs is very important for employees in the food industry. These fairs participation absolutely necessary for Turkey’s exports. I’ve seen among the most prestigious international fairs respectively Anuga/ Cologne, Gulfood/Dubai, Sial/Paris food fairs.On behalf of 5 star participate each year top 3 food fairs in the whole world. – During 2015 we will participate in Istanbul CNR / EDT EXPO in March, Beirut / HORECA in April, Anufood Eurasia / TUYAP in May, Cologne / ANUGA in September. – I believe that this is the most important question; the future of the Turkish food industry. The food industry industrialists desperately need economic incentives. The state should increase supports and credits for industrialists at least 5 times more. Our government is supposed to be necessarily behind for us to be able to compete on the international stage. Price competition, exhibitions, investments, quality of products and low cost of raw materials are very important factors for industrialists. If I’m talking about the situations to happen; I can look up more hopeful to the future. Despite all these difficulties, I think we have a good representation of Turkey in the food industry. Kristal Oil, Turkey’s first olive oil producer and exporter, has been exporting to more than 25 countries and targeting to export the Gulf Region as well. The UAE is one of our target markets and Gulfood is one of the most important fairs at which we are exhibiting. This year, the exhibition was quite satisfying for our company. We had 150 professional visitors and we are keeping our negotiations going on. This can be considered as a good number for a company exhibiting only one product range without any supplemental product, so the performance of the fair was quite good for us. This year, we offered our visitors our Olive Oil and Extra Virgin Olive Oil range. We mainly differ from the other olive oil producers by offering two kinds of Extra Virgin Olive Oil: From the “North Aegean” Coast and from the “South Aegean” Hills. Most of the producers have only one type of Extra Virgin Olive Oil. Our visitors from the Gulf Region tasted and liked most the one from the South Aegean Hills as its taste is robust and fruity. Our visitors were quite interested in our glass bottle and tin can options. Kristal Oil has been in olive oil business for 77 years with its quality proven products and has never used plastic packaging for the olive oil product. The reason is that glass bottle and tin can are the healthiest packaging options for a healthy product like olive oil. As a novelty, this year we started to offer also the 4L tin can packaging option. In addition to Gulfood, we think that Foodex Fair, which we also exhibited on 3-6th March in Japan, is one of the most important food fairs. We are also planning to exhibit at World Food Moscow, which is going to be held on 14-17th September. As per our negotiations at Gulfood, Gulf countries are quite interested in doing business with Turkey as the Turkish food industry is growing and we also expect it to keep growing. When we look at the olive oil industry, Turkey is the homeland of olives in Mediterranean region. When we look at the olive oil sector this year, it can be considered as a hard season for all of us due to the low harvest level and accordingly the increasing prices. We foresee that the olive oil prices will not decrease in the following months both in the local and international markets. However, we are unable to estimate what percent the increase will be. The market situation will be clearer after Spain, who has been known as the global leader in olive oil production, will announce its harvest expectations in May. We wish all of us the best for the future. The fair was quite good and satisfactory. This was our second experience at Gulfood. We are considering to be there for many years. We really got more than we expected. We showcased our latest products at the fair. The interest was fairly good. The exhibitors should not only consider Middle East markets when going to this show but also other markets. Gulfood can be compared with ISM and Anuga fairs of Cologne. Its popularity has been increasing every year. I believe that the Dubai fair will continue to grow and develop more in the future. We will exhibit at Plma of Holland with only one product category. We will not participate in ISM but we are considering Anuga. The fair was good. But it was also quiet compared with previous years . We are more satisfied with performance than other big Food fairs. We do not give any firm offer during the fair, just reference offers. We launched some new product during fair like Vacuum packed Semolina, Grape seed pasta, Bullion. We always attend big food fairs in Europe, Asia and Middle East. The biggest ones are SIAL & ANUGA and GULFDOOD. Gulfood is the most important fair because most of the customers prefer to visit Dubai. European fairs are mostly for European customers due to visa problems, accommodation and transportation. We are set to exhibit at Gulfood, Anuga, Foodex Japan and SIAL China. The Turkish Food industry is expanding in all over the world. Our quality and technology is at world standard. Also service is good; that’s why customer always happy to work with Turkish manufacturers. Today, Japanese the biggest companies are purchasing pasta from Turkey. Economic stability in Turkey also effects export volume. This year; it is 60th of anniversary of TAMEK and Gulfood was a good opportunity to share this honor with our valuable partners. It was satisfying enough both in terms of visitors and exhibitors. We met not only our current partners but also potential partners from all around world. We exhibited TAMEK, TURTAMEK and TAMMY branded juices, nectars, drinks, tomato and pepper products, mayonnaise, jams, stewed pulses and canned vegetables. Also we had a chance to launch our new products for the first time in this exhibition. Gulfood is the world’s biggest annual food and hospitality show where international flavors meet world-class businesses. The most important food expos are Sial Paris and Anuga Cologne. We also participate in Sial Paris (France),Food Hotel China, Vietnam (Vietnam), Foodex (Japan) and we will attend Hofex (Honh Kong), Sial China, Food Hotel Malaysia (Malaysia) and Anuga (Germany) throughout 2015. Despite of the currency fluctuations and unstable economic and political condition in Africa, Middle East, Japan and Russia, we deeply believe that Turkish food export to the world will grow year by year. With the strong steps we took as TAMEK, we had a permanent name all over the world and will raise our brand awareness in all the regions with the same ambition that we showed last 10 years. We are participating in this fair every year despite being not as crowded as the previous years because of the fairs such as Prodexpo and ISM Cologne being held at the same times. Anyway, it was quite successful. This year, we focused on our confectionery products such as fig jam, fig delight and fig paste. Our stand aroused great interest from visitors. For European countries, ANUGA in Cologne, Germany, SIAL Paris in France and for Middle East and South Eastern Asian markets GULFOOD in Dubai, UAE are the most important shows held in the sector. For China and Far Eastern markets, SIAL CHINA is the most important one. The fair that we determined to participate so far is ANUGA 2015. We are still working over it. As we see and examine that generally Turkish food sector is emerging and improving every year with the increasing export numbers. Especially our product, dried fig has an important share in the food export of Turkey as being the leading country in the production. It is a natural and a traditional product that can be raised in a special and limited geographical area and doesn’t need any chemical from production to consumption. It is a very healthy food unless it is spoiled by the chemicals applied on the product. It is a reality that the demand on natural and healthy food is increasing all over the World. Dried fig is as being a natural food and having rich in ingredients has a supportive role in the human nutrition. It should be produced and packed to reserve its natural content. It is holy in all three big religions. It should be consumed as it is used to be in the past as natural. We should also pass this nutrition habit to new generations. We also improved new products done from dried figs to widespread the usage by the new generations. Gulfood 2015 fair was a little bit more stagnant this year than previous years. But still we were satisfied with performance of the fair. We offered our pasta products at the fair. We did not have novelty. However, our stand aroused interest from visitors. We were satisfied with number of visitors and contacts achieved at Gulfood 2015 fair. For the pasta sector, most important fair is Gulfood since it is possible to reach most important two regions for this sector: Africa and Middle East. It is also good to see enough percentage of visitors beside Africa and Middle East like Europe, Caribbean etc. Second important fair for our sector is the food exhibitions in China. We attended Gulfood 2015 and Foodex Japan. We will also attend SIAL CHINA, THAIFEX and ANUGA. With its favorable geographical conditions and climate, Turkey is considered to be one of the leading countries in the world in the field of food and agriculture. Every passing year, Turkish food manufacturers are becoming more competitive and stronger with new investments and Turkish companies are gaining more experience in export. Turkey will be more competitive in the market in the following years. Turkish Poultry Promotion Group had participated Gulfood three times before and this was the fourth year in a row that we took place in Dubai. Gulfood is known to be the leading food fair in the world, with over 5000 participant companies and thousands of visitors from all around the world. 2015 was a good year as well and again Gulfood managed to attract many people in the business. We see this fair as a big opportunity to come together with all the big players in our sector. We had many companies visiting our stand and it will be correct to say that the demand for Turkish products was really high. The Gulf Region is still growing at a higher pace than the world average, so focusing on the region is among the best alternatives for the companies in the sector. There are several main food exhibitions in the world, among which are Sial, Gulfood and Anuga. Participating in these exhibitions is of great importance as key players from all around the world do not miss the opportunity to meet with others in the sector. Country and brand reputation is a major drive that brings companies and people together as a part of these organizations is a must in today’s economy. Our group participates most of the leading food exhibitions worldwide and in 2015, we will be opening stands and attend big organizations such as Foodex / Tokyo, Anuga/ Cologne, and Viv/ Istanbul. Also, we have plans to focus on African market, which has a great potential thanks to countries with high population. The consumption habits in the world are changing rapidly, but the demand for food is compared to none. As the world population is going up and the resources getting scarcer, commodity prices should go up, following the trend. However, it’s not the case, due to the fierce competition with thousands of players from all around the world offering similar products at competitive prices. We trust the quality of Turkish products and emphasize it on every occasion. Placing quality in the first place and coming up with innovative products continuously, we believe Turkish companies will get larger share from the world market in the future’s economy.